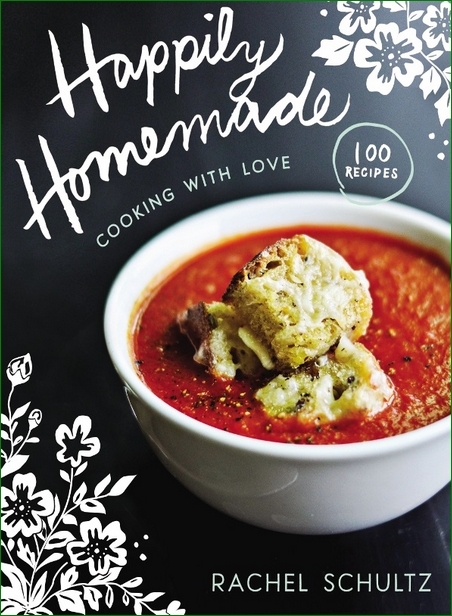 Rachel Schultz, "Happily Homemade: Cooking With Love"
Cook up some love in your kitchen. Does the question "What’s for dinner?" fill you with dread? Is the thought of looking for something to cook every day overwhelming? Popular food blogger and Pinterest celebrity Rachel Schultz has you covered in Happily Homemade, with 100 tasty recipes even a beginner can serve with pride. Reinvigorating familiar dishes with interesting and unexpected flavor combinations, Rachel shares her go-to creations that always get rave reviews. Even with so much variety, Rachel’s approachable recipes include only ingredients you can find at your local grocery store. This gorgeous cookbook includes a photo of every recipe, plus essays and tips from Rachel (and her friends) on hospitality and making life easier in the kitchen. Happily Homemade is all about celebrating food and joyfully loving others through cooking. Let Rachel show you how easy it can be to bring warmth and delight to everyone at your table by serving something happily homemade.